These eye-catching petunia varieties proved to be top performers in the Raker-Roberta’s basket trial in Michigan last summer. 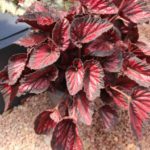 In earlier articles, I highlighted new and unique annuals and perennials in last year’s summer trials. My evaluation would be incomplete without an article on the Raker-Roberta’s trial in Litchfield, Michigan. This is one of my favorite trials to visit during the last week of August, when the top performers are noticeably discernible. My objective is the evaluation of summer performance, which I sometimes refer to as summer hardiness. What am I looking for from hanging baskets this late in the season? 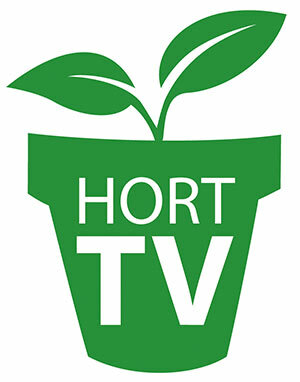 The criteria include: vigor, habit, foliage coverage, flower stability and saturation, durability and floriferousness. 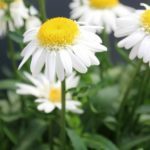 This translates into outstanding garden performance and ultimately success for the consumer, which is the most important goal for the breeder and the grower. Two years ago I wrote about the extensive calibrachoa basket trial at Raker, and last year my focus was vegetative petunia baskets. The display and trials consisted of over 180 current and new petunia varieties from eight breeders. Each 14-inch basket consisted of five plants moved into the trial area week 23. The plants were pinched when planted, and the baskets were fertilized weekly with 20-10-20 at 400 ppm. I selected 10 vegetative petunia baskets that were impactful, striking and eye catching. Danziger has introduced many significant varieties the past few years, and the Amore petunias are unquestionably one of the most stunning and dramatic bicolor series in the industry. Comprised of four floriferous bicolors — Fiesta, Joy, Purple and Queen of Hearts — the flower s manifested vitality and energy with dynamic flower patterns. One of the most significant attributes of this series is strong color retention, and Queen of Hearts, with flowers comprised of bright red hearts sharply contrasting with yellow stripes, is unlike any petunia in the market. Weather tolerance and summer performance was outstanding in last year’s trial. This series has excellent retail appeal with application in quarts, baskets and containers. This is the most vigorous petunia series in the Westhoff collection and has been in the market since 2016. It is comprised of four unique varieties: Chocolate Cherry, Flamenco Dancer, Roaring Raspberry and Pinkadilly Circus. 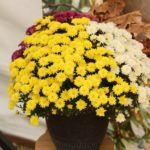 The attributes of this series include durability, daylength neutrality, vigor and vivacious bicolor flowers. The series has been in multiple trials since its introduction and is characterized with Crazytunia-type flowers and a prodigious flower canopy. Pinkadilly Circus has been the most impressive variety in the series with its eye-popping purple-white flowers and strong color retention and brightness. It has been rated a top performer in the trials since 2016. Application includes baskets, mixed containers and landscape beds. When I travel throughout the country every summer, this is one variety that I can identify from a distance. 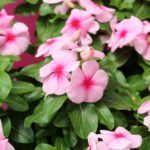 It is generally used in monoculture or mixed baskets, and with its transitional flowers of yellow, orange and terra cotta offers polychromatic colors unrivaled in petunias. This variety is part of the trailing, early flowering Cascadias series, which has been in spring programs for many years. 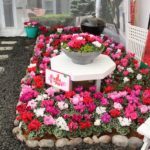 Garden performance of Indian Summer has been impressive since its introduction, and it has outstanding application in mixed containers and baskets. The series has 22 diverse colors in rims, solids, bicolors and veins to select from for spring programs, but Indian Summer is unquestionably the most distinctive. The Syngenta vegetative petunia portfolio is impactful with the classic Sanguna, Sanguna Patio and the Dekko series, which was introduced in 2017. The Dekkos include several renamed varieties from the old Whispers series including the top performer Star Rose. There are 10 core and unique colors with a mounded, spreading habit. The midsized flowers are prolific, and the series has demonstrated excellent heat tolerance in all regions. Sky Blue Improved was impressive in the Raker-Roberta trial with stable, intense, blue violet flowers with yellow throat and a prodigious canopy. This series has excellent application in quarts, mixed containers and baskets. The classic ‘Sanguna Radiant Blue’ has been in the market since 2016, and with its stunning bicolor blue and white flowers has continued to be an important component in spring petunia programs. The new ‘Sanguna Patio Radiant Dark Blue’ offers the same unique and striking flower pattern but with a more compact and controlled growth habit. The early flowering Patio series is applicable in high density quart production and baskets. We have a multitude of novelty petunias to choose from, and this bicolor flower pattern is one of the most spectacular in the industry. The Tea series is from Kerley and Company and is represented and marketed by Beekenkamp. There are 10 varieties in the series, and many were in multiple trials last summer in beds and baskets. The plants are semi-trailing and vigorous with grandiflora size flowers. They exhibited excellent landscape performance in multiple trials. ‘Tea Rose Morn’ was one of the most floriferous and brilliant in the entire basket trial. The deep pink flowers with white throats were stunning. We will see additional colors and improvements in the next few years. Beekenkamp will continue to offer unrooted availability, and liner suppliers will be added for 2020. What comes to mind when I think of this series is: small but powerful! I am referring, of course, to the prodigious flower count of this series. 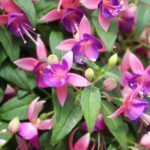 Their significant attributes include uniformity, robustness, heat tolerance, dense branching, and diverse colors and flower patterns. There were nine Charm colors in the basket trial, and they all performed with outstanding vigor and floriferousness. What set Sangria Charm apart in the trial was the vibrant deep pink flowers with intense saturated color. The Charms have outstanding application specifically in mixed baskets and combinations. I have visited trials at the end of the summer season for many years, and this series stands the test of time. It is a summer survivor, which translates into longevity, performance and consumer success. The petunia world has never been the same following the introduction of Vista Bubblegum and Fuchsia petunias in 2006 and Silverberry in 2009. They raised the bar and set the standard for flower abundance and garden performance. Vista petunia baskets are ubiquitous throughout the country, and rightly so. Proven Winners augmented the Vista series with Paradise for 2019 to provide a variety to more closely match Bubblegum and Silverberry in vigor. The variety was in every trial that I visited last summer, and the ratings were outstanding in beds, baskets and containers. The watermelon pink flowers were electric, the flower canopy was prolific, and the heat and humidity tolerance were exceptional. This variety expands the compatibility and coloration of the Vistas and adds another top performer to the Proven Winner program. This variety, introduced in 2014, has been an outstanding performer in trials and spring production programs every year. It has a unique pattern of hot pink flowers with a yellow throat which manifests a vibrant flower canopy and exceptional uniformity. Hot Pink Lemonade conforms to the series, which is characterized by a medium growth habit, wide range of colors and upright vigor. It is a major component in over 13 Confetti Gardens for its compatibility. This vegetative double petunia series consisting of 13 colors was introduced in Europe by Volmary and is represented in the North American market by Benary+. This is a vigorous, fragrant, double flowering series that was entered in multiple trials last summer. The series offers many unique bicolor and picotee type varieties not available in the double flower market. The carnation-like fragrant flowers are large, frilly, heavily layered and stable. I did not see significant deadheading issues late in the season or shrinkage of flowers. Application will include patio containers and baskets. Expect to see this series offered in 2020 in URC form from Benary+ and liner suppliers.